When will be Amen next episode air date? Is Amen renewed or cancelled? Where to countdown Amen air dates? 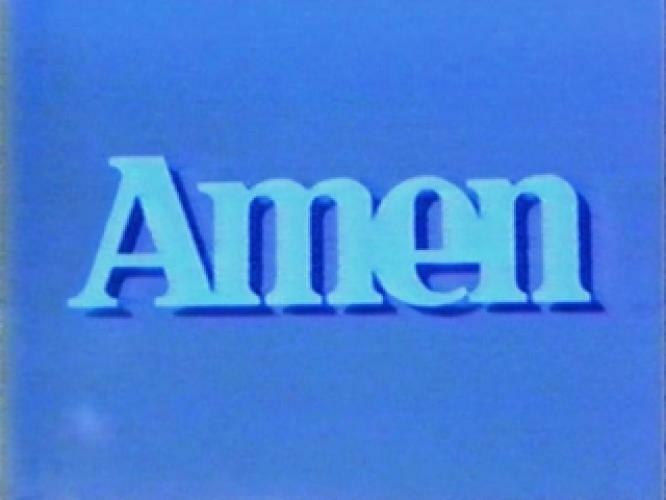 Is Amen worth watching? Sherman Hemsley (The Jeffersons) stars as Deacon Frye, head of the First Community Church of Philadelphia. He is trying to keep everything in his church under control. His new assistant, Rev. Reuben Gregory, however, has some very different ideas of how do things. To make things worse Thelma, the Deacon's daughter, has a crush on Gregory. This series ran of NBC from 1986-1991. Reruns can be found on TV One. EpisoDate.com is your TV show guide to Countdown Amen Episode Air Dates and to stay in touch with Amen next episode Air Date and your others favorite TV Shows. Add the shows you like to a "Watchlist" and let the site take it from there.